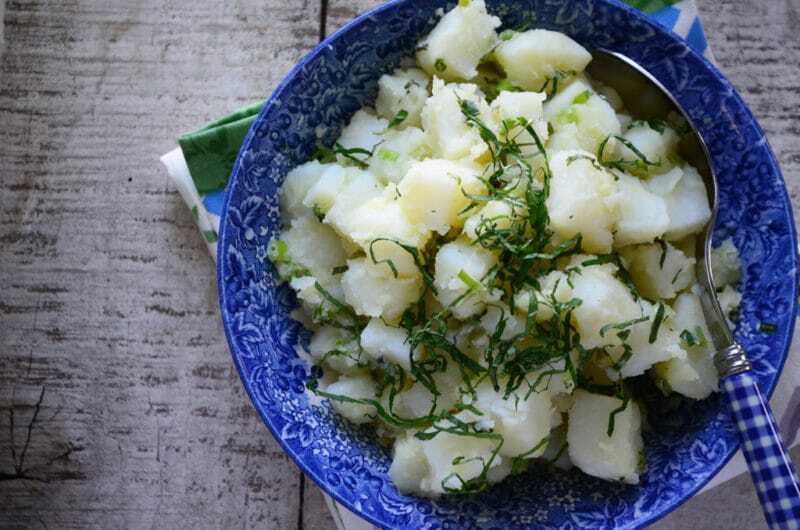 Lebanese potato salad is light and fresh with lemon and mint–the perfect, healthy summer salad which is dairy- and gluten-free. See how to cook the potatoes perfectly here and in my video. I was surprised when I returned from Lebanon recently to find the herbs in the back corner garden had come into their own. City-dwelling for so many years made a porch gardener out of me, and I confess I had no idea that some of the herbs I planted last summer would come back up again this year. There they were, the parsley inspiring thoughts of all of the tabbouleh I ate in Lebanon, the sage begging to be crisp-fried and bathed in brown butter over pasta, the chives standing at the ready to be snipped for poached eggs with hollandaise. All of that is so good, so delicious, but it’s what’s missing from the garden that is capturing my attention right about now, and that is the mint, the nana. 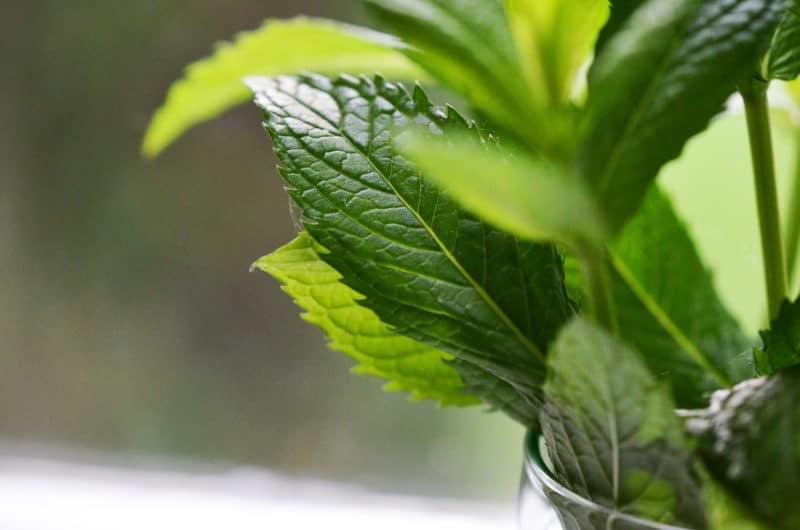 Here is a flavor that reigns supreme on the Lebanese table, and mint is so transporting in aroma and taste that whenever there is nana in anything I eat, a flash of home surfaces, and I can feel the soft green grass of my childhood under my bare feet. This must be the reason I want mint chip ice cream cones all summer. Mint is easy to grow—far too easy, some would say. It grows like a weed and feels so confident in any garden that it tries to become king of the soil. My grandmother Alice kept a large, albeit contained, area on the side of her house in Ohio just for her nana. That way when supper time came around and she was making the salad, she could send one of her seven children out to the yard to bring in the sprigs of mint that any salad of hers would be incomplete without. When my mother moved to Michigan, in an act of true uprooting, she pulled out a hefty clump of her mother’s nana and laid it down in a similar plot of soil on the side of her own house. And yes, when supper rolled around, she sent one of her five children out to the side yard to bring in the mint. Then when Mom decided it was time to sell the family house and move across town, the thing that worried us as much as the move was the nana. We’ll just have to dig it up and bring it with us, she said. Seems easy enough, but no measure of water, sunshine, or lovin’ made that transplanted mint grow. We did try again last fall with another round of roots from the old house, planted in pots and placed inside for the winter. You can guess what happened to it. An annoying thing, given that there is a geranium on the window sill in the kitchen here that has stretched up to the sun and bloomed non-stop for three years. It’s nice, but I’d rather the nana grow if I had a choice for where a green thumb would bestow its success. Recently we made a visit to the old house again and saw that my grandmother’s nana was up, just as it’s been doing ever since it came over from Ohio 50 years ago. We dug it up and planted it, this time in its own area on the side of my mom’s new house downstate. I don’t know if we’ll ever get that same nana all the way up north and thriving here on Main Street. But last week we admired the beautiful mint garden that is up again over at Pond Hill Farm. The way Sharon pulled out the mint with its roots for us and gave us a few growing tips made me consider that my even grandmother’s nana roots had to come from somewhere, and that setting down new roots might just yield as much beauty and bounty as the old ones did. Cook the potatoes: place them in a large saucepan and cover by 1 inch with cold water. Add a teaspoon of salt. Cover and bring to a boil. Remove the lid and reduce the heat to medium. Test a sample of the potatoes every minute or so with the tip of a paring knife. They are ready when the knife cuts into the potato with just a hint of resistance. Taste the samples, looking for an al dente quality. Russet potatoes cook in about 13 minutes. 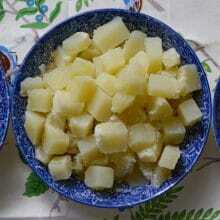 Be careful not to overcook the potatoes or they will turn to mash when they are stirred with the dressing. Drain the potatoes and place in a medium bowl. Season the warm potatoes with salt, lemon, and olive oil, stirring very gently. Taste and adjust seasonings. When the potatoes have cooled down almost to room temperature, add the scallions and mint, stirring gently to combine. This potato salad is delicious warm, as well as the next day (cover and refrigerate over night. Bring to room temperature and add more fresh mint, again stirring gently). 34 Responses to "Lebanese Potato Salad"
My Mom’s mint grows at Higgins Lake! Here’s the secret: sandy soil is terrible for gardens, so she buys topsoil and tills the garden so it goes down deep enough, then adds another layer on top. Also good for the chives, rosemary, tomatoes, etc. On another note, red potatoes/new potatoes may not be good for this recipe, but they’re divine with a sour cream-based dressing – not as healthy but a nice treat! Maureen, once again!! The mint for the Nassir gardens in CA came all the way from Grandma Frieda Nassir’s garden in PA. She brought it with her when she moved west with two of her sons, and then once it became abundant, each of the remaining sons and daughters, as they made their way West, took a few sprigs from her garden to their own house, and, all of it prospered! Your words bring to mind all the rituals of my own childhood growing up in southern CA! Sadly, I don’t believe any of us cousins kept that tradition going and now that the children (our parents) and their homes are all gone, so too, is the nana. I tried bring my mom’s mint from her house in Lansing to MN, without success, then i got some more from her house from the new owner’s when we moved to MA, again without success. I now have a nice patch growing in GA, which a friend gave me from his garden. I have loads of nana at my house that you are welcome to come dig out and try to transplant if you want. It is spearmint and I actually prefer peppermint nana since that is what Grandpa planted at Mom’s house 51 years ago (and still grows like crazy every year). Ah yes, nana. I wondered for years if it was spearmint or some other kind of mint. Your mention of peppermint is likely the only other alternative. Sad to say when in Wisconsin I often go to a dry goods store and buy an entire pound bag of the dried spearmint for $10 (several years ago). Now we also have what I suspect is spearmint planted in a small container, otherwise it will take over all of Maryland! Maureen you lost me with the potato salad recipe. It is probably wonderful but I can’t imagine other than the typical salad with mayonnaise. My wife gets your newsletters, perhaps she will take the hint and try it, she loves Lebanese foods. Maureen, growing up it was common place to hear my mother tell one of us to go out and pick some nana. I too dug up a clump from my mother’s yard and planted it in a large container and it didn’t come back. I just planted some in a raised bed at our cottage and can’t wait to tell my grandkids to “go pick grandma some nana” as I try to pass on this “tradition”. Another wonderful memory you’ve stirred up. Just thought I’d pipe up and say we tried the salad (with lamb burgers and grilled zucchini and eggplant) and it was really quite divine. Light even, if potatoes can ever be light. Going to have a hard time stomaching traditional American potato salad in the future when your recipe is in my flavor memory. Thanks! Maureen, thank you for your lovely writing and interesting potato salad recipe. I’m going to try taking it to a potluck lunch with family this Easter Saturday. I love that it is relatively low-fat and gluten free. I’m just wondering about the mint. Do you prefer nana that is peppermint or spearmint? Which do you think I should use? 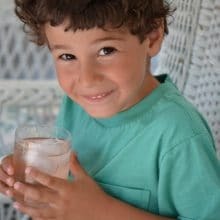 Hi Mimi–my mint is spearmint, as is the mint that is grown and sold in markets and grocery stores. That’s what you want for our classic flavors. Happy Easter and enjoy the salad! I married into a Lebanese family and we frequently had this salad in the summer months – the only difference being, young green beans (blanched) and finely chopped parsley were also added. Delicious! Green beans with this, and parsley, sound SO good! I will try it–thank you! Another hit! This potato salad was absolutely delicious (the lemon flavor was divine in this) and a huge hit with my Lebanese family. 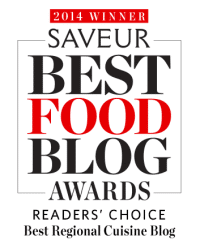 I am addicted to your website Maureen! 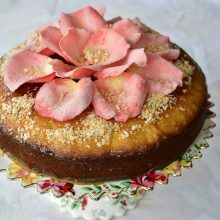 Every recipe is so delicious :). Thanks! This recipe looks terrific, but do you have any suggestions if I don’t like mint? Thank you. Absolutely John–this salad is delicious using basil, dill, cilantro or tarragon! I love potatoes, so therefore I love potato salad. This type of potato salad I am totally unfamiliar with, which makes it all the more fun. This looks lovely and I have a batch of some fennel preserved lemons all ready to mix in with this! My grandmother used to send me into her backyard garden to get mint for cooking and to make tea. I was fascinated by all the plants there. Sometimes, she would send me to the woods to find chamomile, my personal favorite. This recipe and your story really took me back to that memory of childhood and comfort. I made your potato salad for dinner this evening and packed the remainder in the fridge for tomorrow’s lunch. What a wonderfully delicious dish. Thanks so much for sharing it with us. How special Tanya, thank you! I served your recipe this evening beside our Cornish Game Hens which were cooked in a Weber kettle. It was perfect! My beautiful mint is being crowded out by Mexican Primrose-I have to get at it now that I’ve found your recipe for this lovely potato salad! 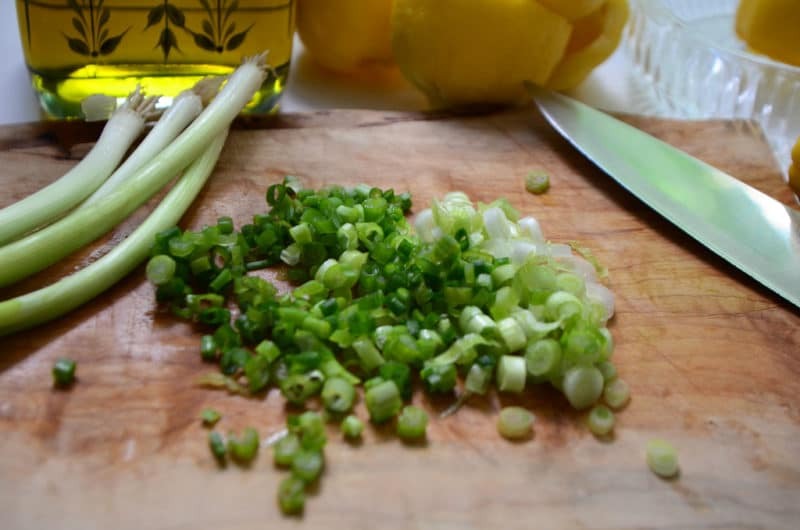 My teta makes her potato salad with lemon and allspice, and sometimes green onion. I remember sneaking to the fridge at night with my sister to eat it straight out of the container. I’ll have to try the minty version! And I’ll definitely be using your potato-cooking technique. I can never seem to get that part right! Your teta’s recipe sounds divine, Lamia! LOVE that there’s no mayo. I add some Italian flat leaf parsley to mine along with the mint and scallions. Refreshing taste and change from the same ol potato salad we Americans are so accustomed to. Thank you. Keep those authentic Lebanese recipes coming. 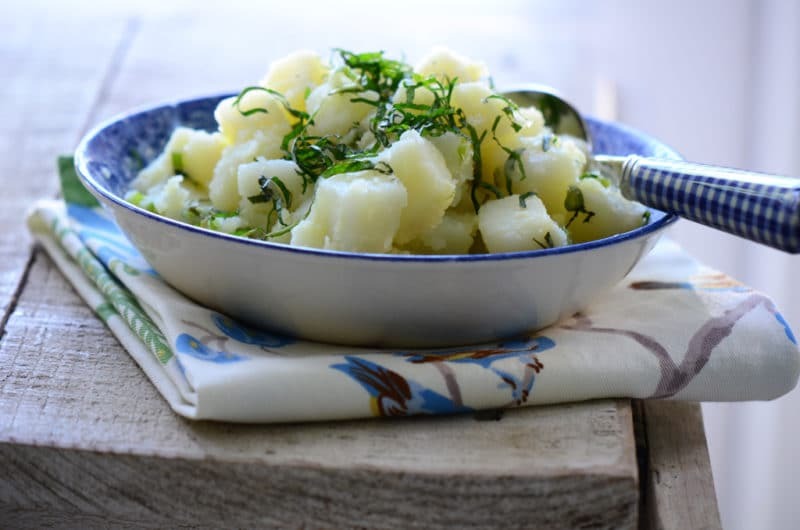 HI Maureen: My mother made her potato salad with lemon juice, salt, oil, and chopped parsley. I continue to make it the same way, but would like to try it with green onions and nana. It sounds very good. It’s so good any way you season it, isn’t it?! Love your recipe, same as ours. Sometimes we also substitute with parsley. Glad to know that you cook so much like we do. So nice to see a recipe for Lebanese potato salad. Growing up we called it “Syrian Potato Salad.” The only difference in ours is that we made it with garlic and not green onions, although I like the idea of both. Garlic is what makes the salad! I’d use a couple of cloves, mashed. I bet the garlic is absolutely wonderful here. I’m going to try it! Thank you! I’ve always used parsley, but I can’t wait to try it with mint. I use organic red potatoes. They have less starch, and I leave the skins on for color, flavor, and nutrients. Instead of cubing, I save time by thin-slicing the spuds with the mandolin. By the way, my mom’s Irish side of the family always looks forward to my Lebanese potato salad at their O’Malley+McAfee reunions.